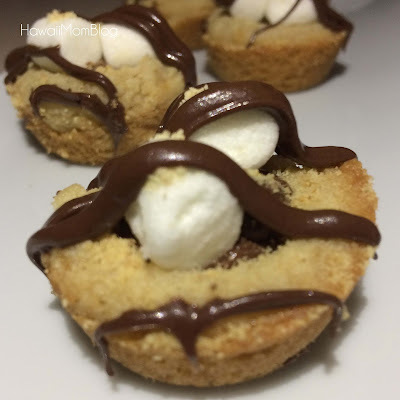 Since I had leftover marshmallows on hand, I decided to make S'mores Cookie Cups. They are quite similar to the Chocolate Cookie Cups I posted previously, with just a few tweaks. 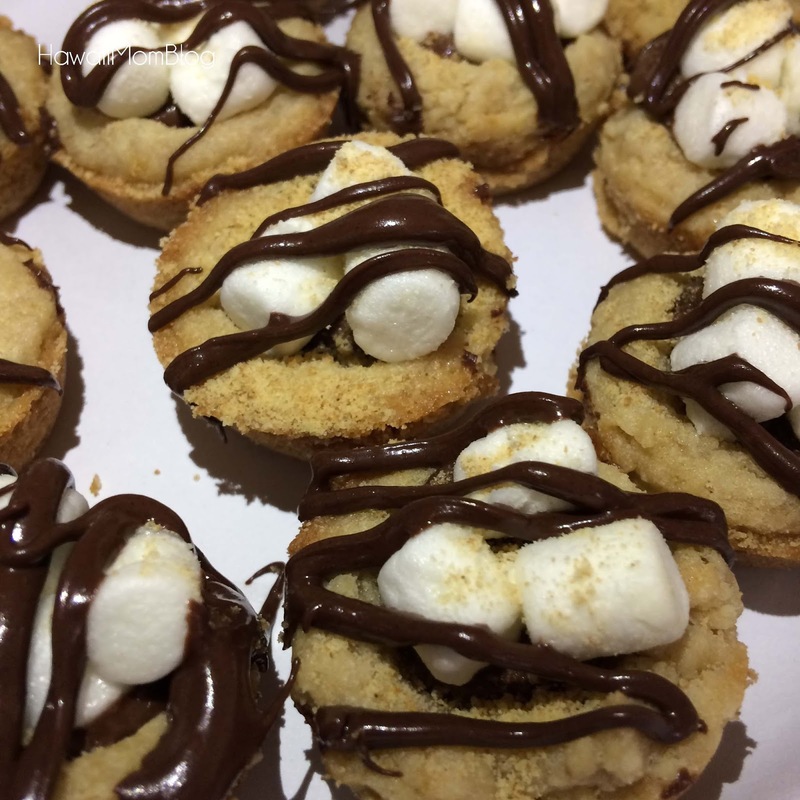 For the cookie cups, I used my go-to Chocolate Chip Cookie recipe, and simply omitted the chocolate chips. I scooped tablespoonfuls into a mini muffin tin, and baked for approximately 11 minutes at 350 degrees Fahrenheit. Once the cookies were done baking, I used the back of a melon-baller to make an indentation in each cookie, then I filled each cookie cup with a melted chocolate mixture of 1 1/2 c chocolate chips + 4 T peanut butter microwaved on high for 60 seconds (stir until smooth). I then placed mini marshmallows in each cup (you could also add more chocolate chips), and sprinkled with graham cracker crumbs. Finally, I drizzled with the same chocolate mixture used to fill in the cups.